Je me demandais pourquoi le loup était présent auprès de moi ces derniers temps. Il ne m’a pas fallu longtemps pour comprendre… même si ça va au-delà du simple « horoscope ». Wolf people are usually teachers and guide others. They often surprise others with the subtleties of truth. 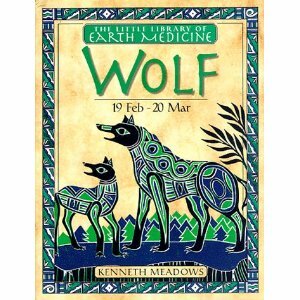 Wolf is cunning, sensitive, intuitive. Emotions must run freely. Permanent relationships give a meaning to life. One hunts for underlying meanings of everything around them.Wolf also tends to be very ritualistic in day to day activities. They are able to discern attitudes, feelings and intentions of others, however well hidden they appear to be. Wolf people feel vulnerable when emotions are unbalanced. Their « prey » is philosophy, religion and mysticism. Compassionate and warm they absorb everything like sponges. Decisions are made by feelings instead of logic. Freedom is needed for wolf people. They put their heart into any endeavor on any level and it becomes a part of them which tends to make them sensitive to criticism. Du coup, j’ai commandé, et reçu, ce livre de Kenneth Meadows. Cette entrée a été publiée dans Horoscope et étiqueté amérindien, loup . Marquer le permalien .